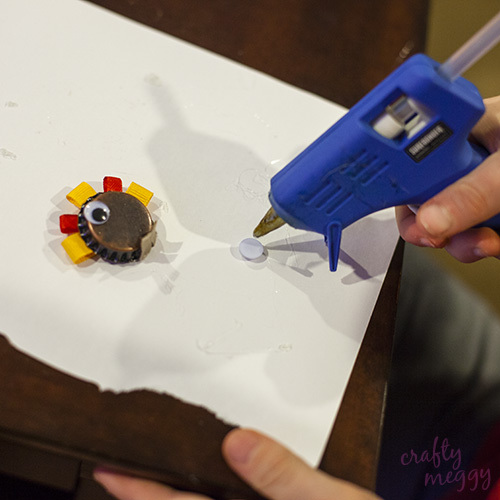 The day that I had Tinian and his friends make the construction paper turkeys Brynnan, my 7 year old, came home and really wanted to make one. I didn’t have anymore construction paper for him to make one, plus the paper did a number on my Silhouette blade so I didn’t want to use it anymore. 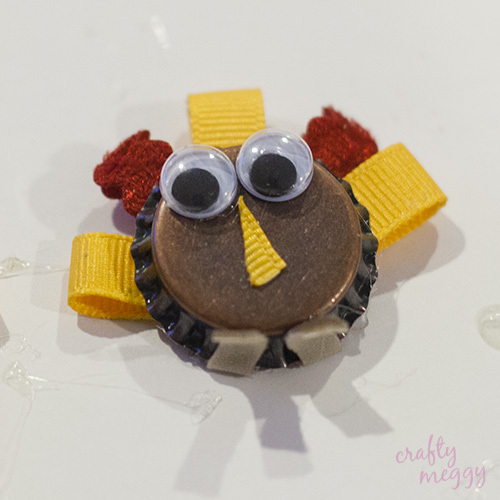 I was at Michael’s the next day trying to think of a turkey craft Brynnan could do that would be different, but the same idea. Well, I am excited to say I came up with something and it was ALL my own idea! 🙂 hehe In this day and age of the internet, I don’t often have my own ideas. I usually see something on pinterest and make something like it or get inspiration from it. I was so excited I came up with this idea on my own! Like I said, I was at Michaels just looking around the scrapbooking area for something that might work to make a turkey. I came across some brown metal bottle caps and immediately knew they would be perfect!! 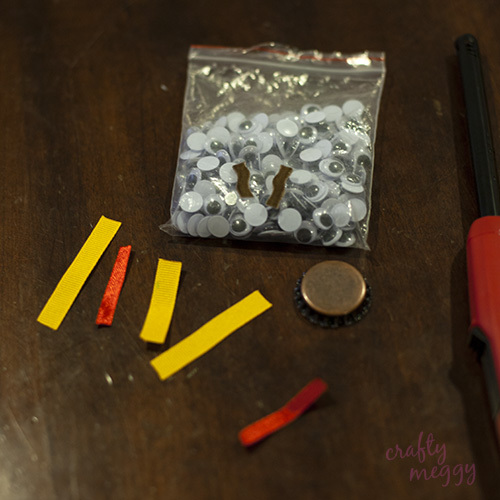 I already had ribbon and the eyes at home so all I had to buy for this craft was the bottle caps and I had a coupon so they only cost about $2 or so. First off, I made an example one so that Brynnan would be able to see what it was supposed to look like. Step 1. Cut up all your pieces of ribbon to the length you want the feathers and the feet to be. The feet ribbon were only about half an inch, maybe a little longer, but not too much. 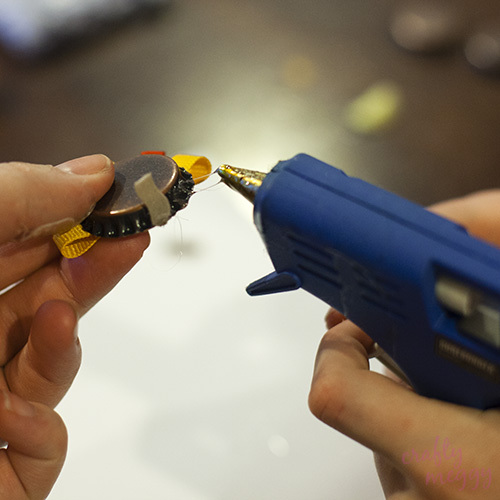 Brynnan wanted to be the one to use the glue gun so I let him. 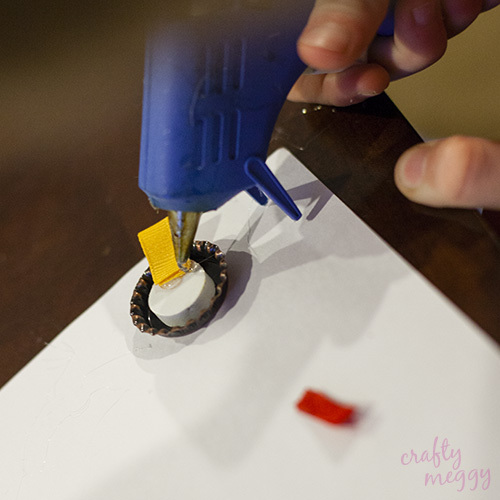 I took all the pictures from the side of him so I could stay close to him and the glue gun. Step 2. 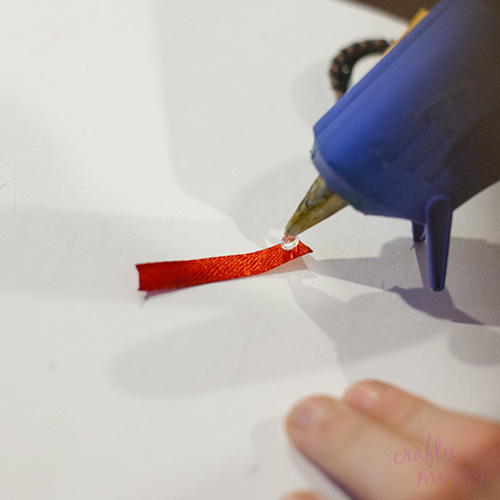 Put a dab of glue on one end of the ribbon and then fold the other end onto the glue. Step 3. 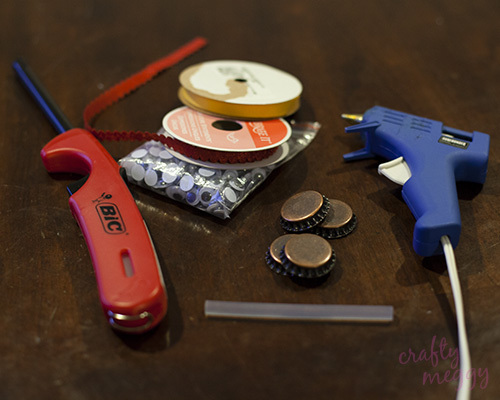 Let the glue dry and in the mean time put a dab of glue on the back of the bottle cap where you want to place the feather/ribbon. Step 4. 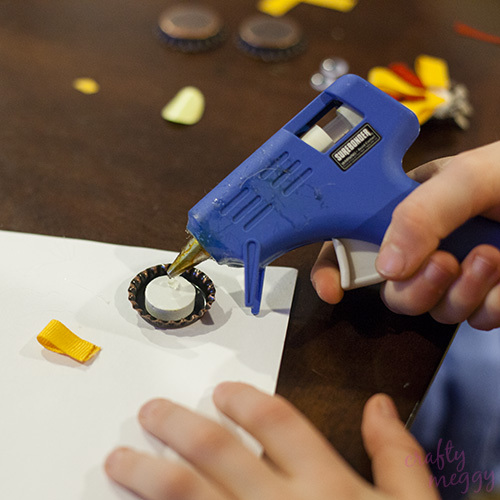 Continue putting the folded ribbons around the top of the bottle cap as close or as far apart as you or your child want. Step 6. Glue on the eyes with a little dab of glue. Step 7. 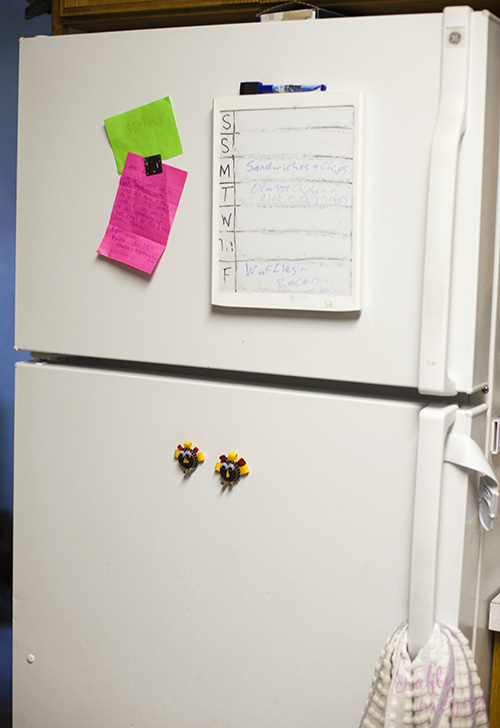 Put a dab of glue on the back and place your magnet on it. After putting on the first one I realized it was better to put down a peice of backing paper on top of the ribbons and then put the magnet on. I think it gives the magnet a more even space to be glued onto. And that’s all! 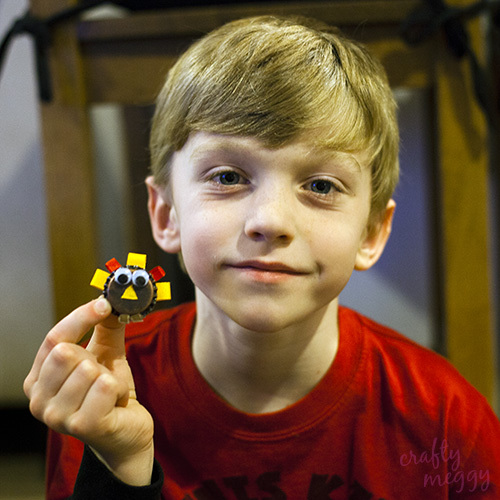 You’re done and your kid can be proud of the cute little project he or she made. 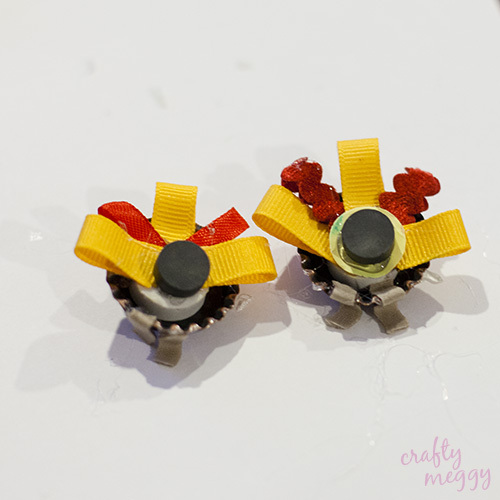 If you have too many magnets already or don’t want to make it into a magnet you could use it as an embellishment for a scrapbooking page or even as a hair bow for your daughter! Brynnan was so proud of his work and immediately asked me to hang them up on the fridge for everyone to see. I’m glad he likes to do crafts with me! I think I’m slowly getting to the point where I enjoy doing them with my kids. 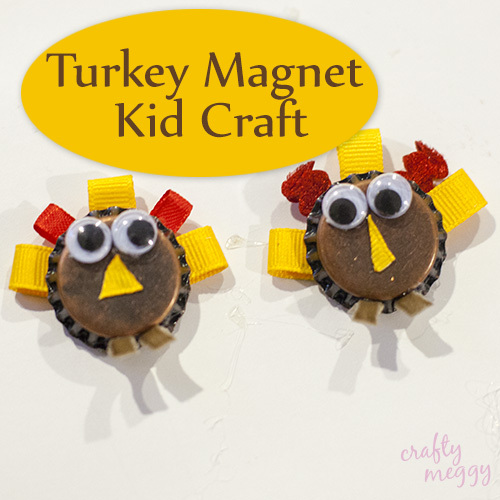 Here are both of our cute little turkey magnets all finished. I thought they turned out pretty good. 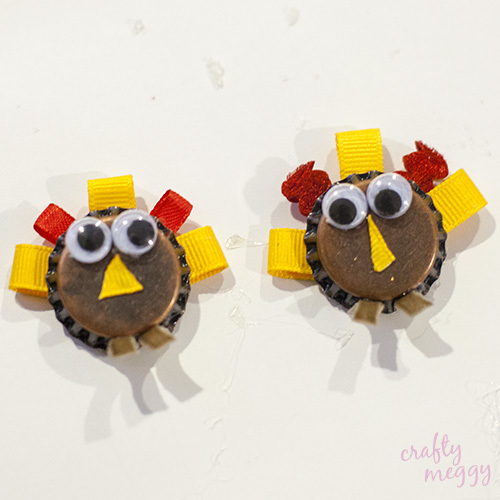 They were easy and fun to make too, so this was definitely a winner for a kids craft project!! Thanks for stopping by!! Come back tomorrow for one last project before the big Turkey Day.